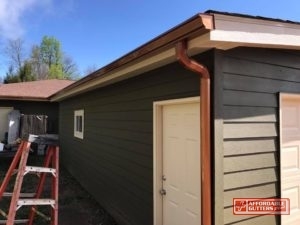 No matter if you need a fast repair or a full rain gutter installation, Affordable Gutters Plus, LLC takes care of each gutter service need in Cave Spring, GA. You get quality rain gutter installation for your home with our complete roof and gutter services. Our mission is to make sure each rain gutter installation will last you as long as you own your house, offering you peace of mind and easing worries about roofing damage. For the best service in town, choose our licensed, skilled contractors. One phone call is all you need to get all of your rain gutter installation answers. 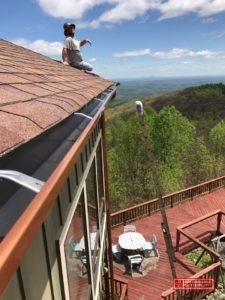 Dial 770-735-4433 for high quality services and rain gutter installation in Cave Spring, GA from Affordable Gutters Plus, LLC. For all of your residential services, turn to Affordable Gutters Plus, LLC. You receive more than just rain gutter installation from our contractors who install and repair everything including roof and flashing services. Leaf Guard Gutters: Stop clogged gutters with leaf guard gutters for your home! Metal Roofing: Consider safeguarding your home with strong, energy efficient metal roofing. Roof Drainage Repair: With roofing drainage repair, you get a system that works correctly for your home. Seamless Rain Gutters: Water damage and leaks are a thing of the past when you pick a the best seamless rain gutter installation from Affordable Gutters Plus, LLC. Squirrel Deterrent Flashing: Squirrel deterrent flashing supplies your home with a solution to stop rodents from gnawing through your roofing, causing huge problems like water damage and leaks. And So Many More! When storm, hail, and high winds hit, your house is defended and shielded from the hardest strikes by your roof. To increase the defense of your roofing, have a quality gutter system installed. Call 770-735-4433 for rain gutter installation in Cave Spring, GA.
You anticipate your house to last you a lifetime. 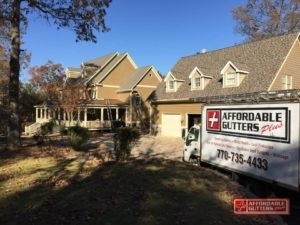 Affordable Gutters Plus, LLC believes that you should receive services that ensure this, which is why we strive to supply you with gutters that are designed to last as long as you possess the house. Our contractor team offers you what your home requires, offering you first-rate installation and high caliber materials. Your roof or rain gutter installation service gets the best customer service and craftsmanship around. Let’s begin today. Call 770-735-4433 for Affordable Gutters Plus, LLC and rain gutter installation for your Cave Spring, GA home today!